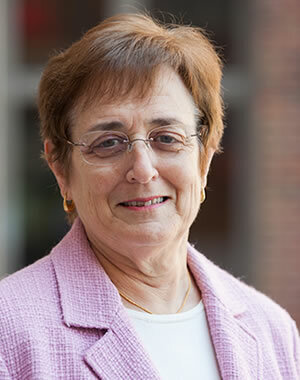 Edie N. Goldenberg is a professor of political science and public policy. She served as dean of the College of Literature, Science, and the Arts from 1989-98 and is the founding director of the Michigan in Washington Program. Her research interests include voting turnout of millennials, and in 2017 she founded a Michigan group called Turn Up Turnout (TUT). Her most recent book is Off-Track Profs: Nontenured Teachers in Higher Education (MIT Press 2009), co-authored with John Cross. She is also author of Making the Papers: The Access of Resource Poor Groups to the Metropolitan Papers and coauthor of Campaigning for Congress. Edie served in the federal Office of Personnel Management. She is a member of the National Academy of Public Administration and a life member of the MIT Corporation. Edie served as director of the Ford School from 1987—89. In the last midterm election, just 14 percent of students at the University of Michigan cast a ballot.